Traveling to certain place sometimes makes people confused. Why? It is not because of any threats or bad things. The numbers of destination are uncountable and it takes your time to decide whether going to this place or that place. Well, it’s a common thing! You just need a clear and well-known destination to visit in order to create such a good time. Lombok has anything you are looking for. Beaches, islands, private island, forest, monkey forest, hills, mountain, waterfalls, badass waterfalls, and many more! 3 Cheap and Affordable Lombok Tour Packages. Wait...! Don’t be confused Here I have listed 3 Cheap and Affordable Lombok Tour Packages you can pick on APW Tour & Travel with the beautiful destination. You can get ‘em all in one day trip! Let’s check ‘em out! Pink Beach One Day Trip, Lombok. This tour package offers you one day trip to a famous pinky beach in East Lombok. Yup! Pink beach! Ever heard about it? The pink color is emerged by white smooth sand mixed with pink coral flakes. When the sun shine covers the sand, the pink color comes up and creates such a beautiful pink color on the surface of the sand. 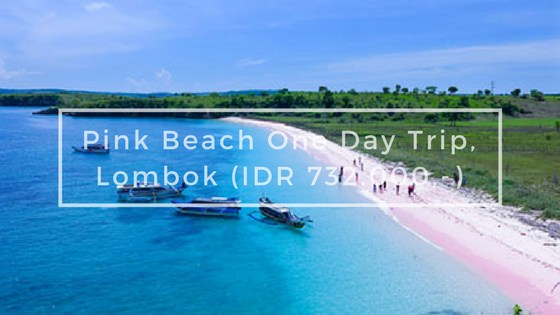 Pink Beach One Day Trip, Lombok also provides you a trip to Gili Petelu and Gili Pasir (sandy island). In Gili Petelu you can do snorkeling and discover the beauty of the corals and reefs. While in Gili Pasir you can swim around the small island which is dominated by white sand. It shows up when low tide. By booking this tour package, it has already included travel insurance, private car with driver and tour guide, boat and snorkeling guide, lunch, snorkeling set (fins, masker and life jacket), mineral waters and bread for feeding fish in snorkeling spot. Go check out here for details. Lombok Rafting and Cycling Tour. 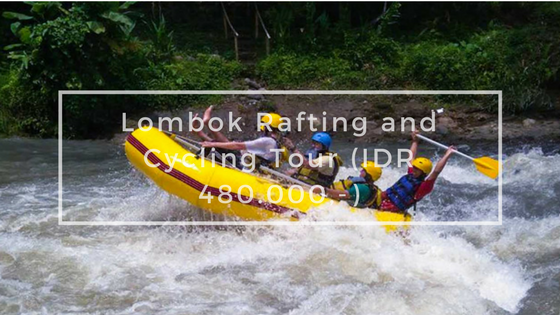 Lombok Rafting and Cycling Tour offers you rafting adventure in Jangkok river, Lombok. Jangkok river known for its challenging rapid flow of water. This tour package will give you a great adventure with cycling session. Before going to the rafting basecamp, you will be provided bikes and cycling through green forest and rice field. The fresh atmosphere of the trees will give you an extra energy before going raft on the river. Jangkok river is about 6,5 kilometers of length and it takes you around 30 minutes on the boat with an experienced guide. By booking this tour package, it has already included travel insurance, private car with driver and tour guide, lunch, standard rafting and cycling equipment. 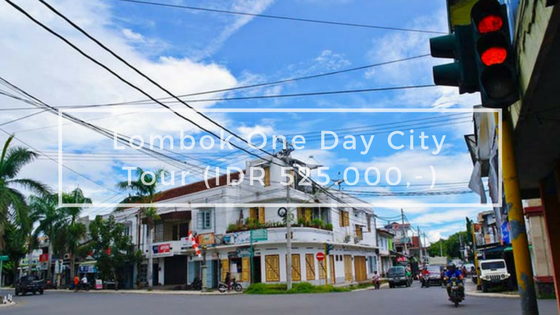 Lombok One Day City Tour. This tour package offers you numerous destinations in Lombok. Start from Nipah View Point, Pusuk Monkey Forest, Lombok Traditional Market Kebon Roek, Ampenan the Old City, National Museum of West Nusa Tenggara Barat, Islamic Center Mataram with its 99 meters tower, historical sites; Lingsar temple, Narmada Park and Batu Bolong Temple. These destinations are wrapped in one day tour. You can get everything about Lombok’s cultures and traditions and get close to its history in the museum. You can also witness the whole city Mataram through Islamic Center Mataram’s 99 meters tower. By booking this package it has already included a private car with driver and tour guide, tourism destinations ticket, lunch, mineral water and travel insurance. 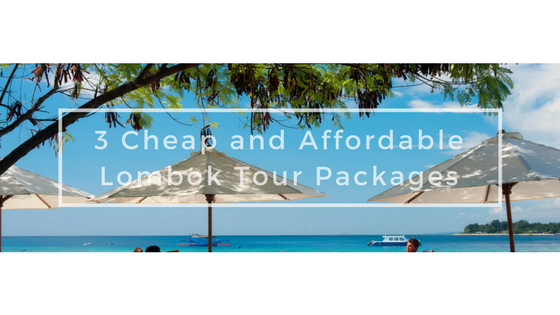 These 3 Cheap and Affordable Lombok Tour Packages you can get easily. Go access the website here and make reservation for your wonderful holiday in Lombok! I’ll be waiting!